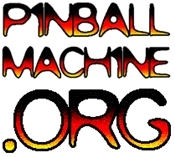 In 1947 it cost $100 per year for an operator to get a pinball license. Running that through an inflation calculator, that’s $1,060.98 in today’s dollars! 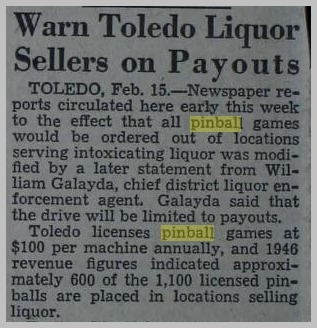 Toledo had 1100 pinball licensed machines throughout the city with an approximate population of 290,000. That’s about twice as many as in the entire greater bay area, which includes over 60 cities and a population of over 6 million. That’s about forty times more pinball games per person.